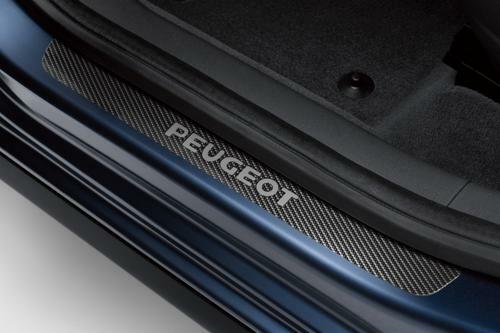 Homepage > PEUGEOT 3008 CARBON FIBRE EFFECT DOOR SILL GUARDS [Fits all 3008 models] NEW! PEUGEOT 3008 CARBON FIBRE EFFECT DOOR SILL GUARDS [Fits all 3008 models] NEW! The 3008 door sill protectors combine an attractive appearance with effective protection of the sill panels. Product Description: The 3008 door sill protectors combine an attractive appearance with effective protection of the sill panels. PEUGEOT 3008 REAR SPORTS SPOILER [Fits all 3008 models] 1.6 THP 2.0 HDI NEW! PEUGEOT 3008 OXALIS 18" ALLOY WHEEL [Fits all 3008 models] 1.6 THP 2.0 HDI NEW! PEUGEOT 3008 GALIUM 17" ALLOY WHEEL [Fits all 3008 models] 1.6 THP 2.0 HDI NEW! PEUGEOT 3008 STAINLESS STEEL DOOR SILL GUARDS [Fits all 3008 models] NEW! PEUGEOT 3008 SAVARA 17" ALLOY WHEEL [Fits all 3008 models] 1.6 THP 2.0 HDI NEW! PEUGEOT 3008 ISARA 16" ALLOY WHEEL [Fits all 3008 models] 1.6 THP 2.0 HDI NEW!